It is not too late if you have not winterized your home. 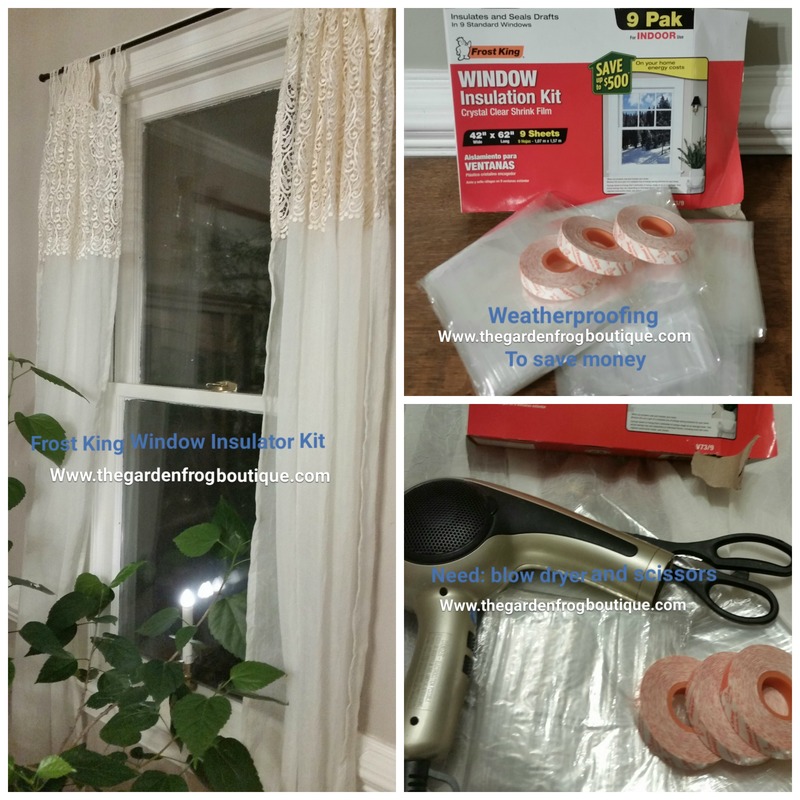 If you are feeling a breeze when you stand next to the window, then you need to run to your nearest Lowe’s, Home Depot, or other retailer that carries winterizing kits for windows (which have the shrink plastic). Depending upon how many windows you have a Frost King kit for 9 windows is approximately $14 at Lowe’s. So if you need 2 kits that is roughly $30 which will be saved on the next months heating bill. The plastic is heated with a blow dryer and shrunk to create a smooth clear surface that creates a barrier to keep the heat in and the wind out. From the outside no one can tell you have plastic on the windows! 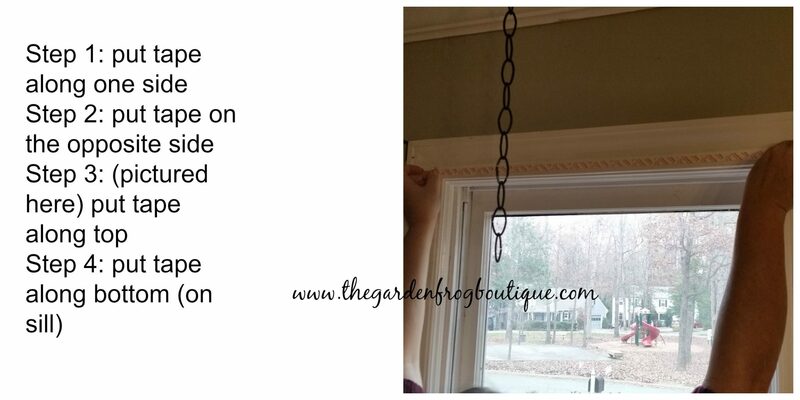 It takes about 15-20 minutes a window. Take your time and the kit usually gives you a little bit extra tape. 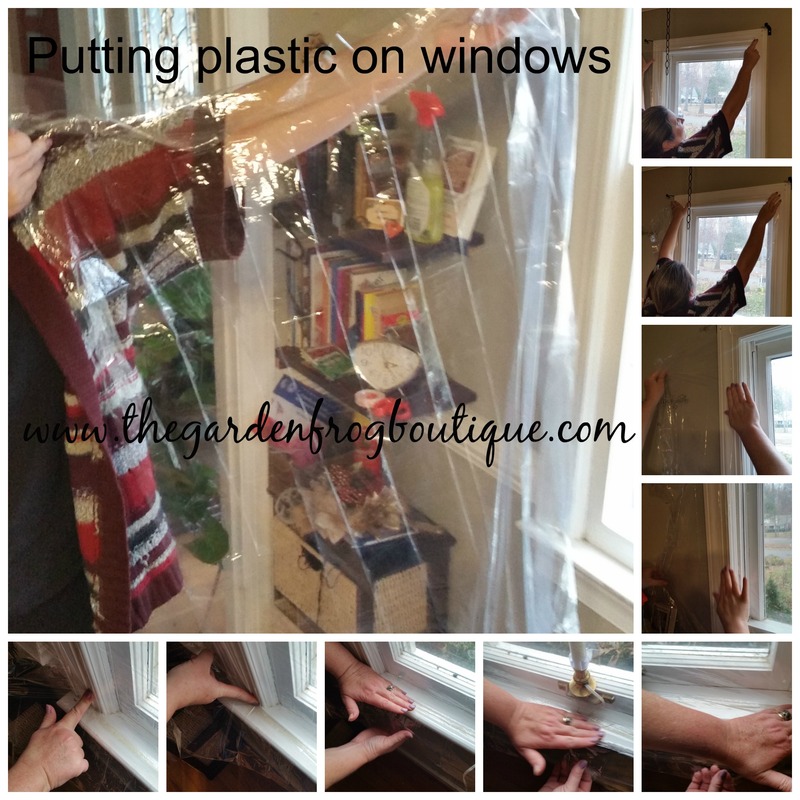 I have put plastic on my windows for years to keep the draft out. I know that I save approximately $100-150 a month on my electric bill by having plastic on my windows and lowering my heat to 65 degrees. I know this is a bit of digression but you can really save quite a bit on your heating bill by putting plastic on your windows (if they are old and drafty) and lowering your thermostat down a couple degrees. As you can see from my pictures, it is tedious but not hard. 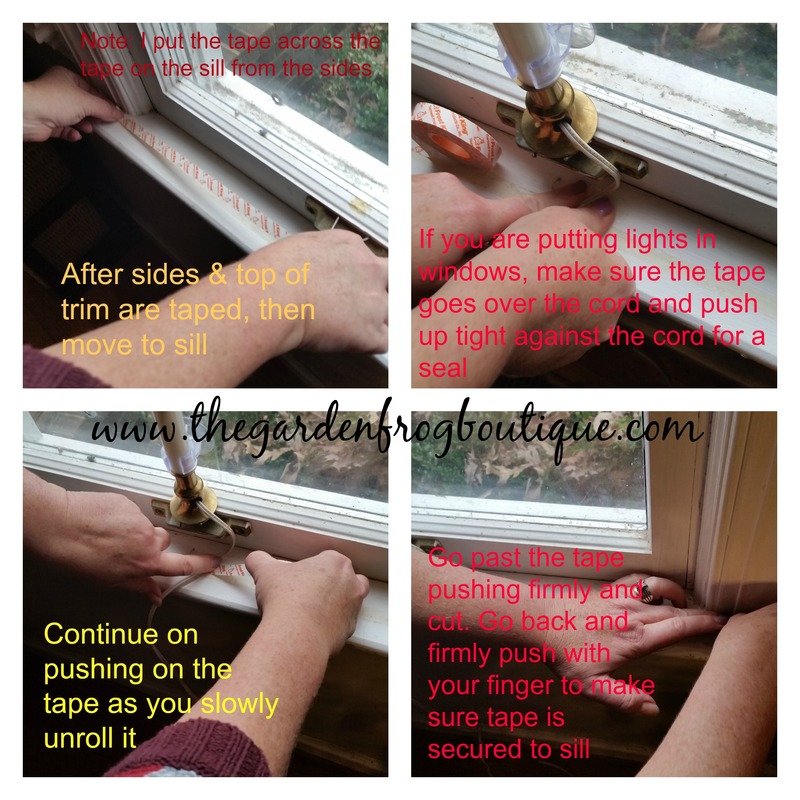 The tape is very sticky and holds up through the winter (truth be told I leave the plastic on for a year because I do not open my windows). My favorite part of the new Frost King Window Insulation Kits is that they finally have the plastic cut in separate sheets for each window. Before I would have to cut the plastic to fit the window and it would be a disaster because cutting plastic straight is not easy. I just shake out the individual sheet of plastic and start on one corner. 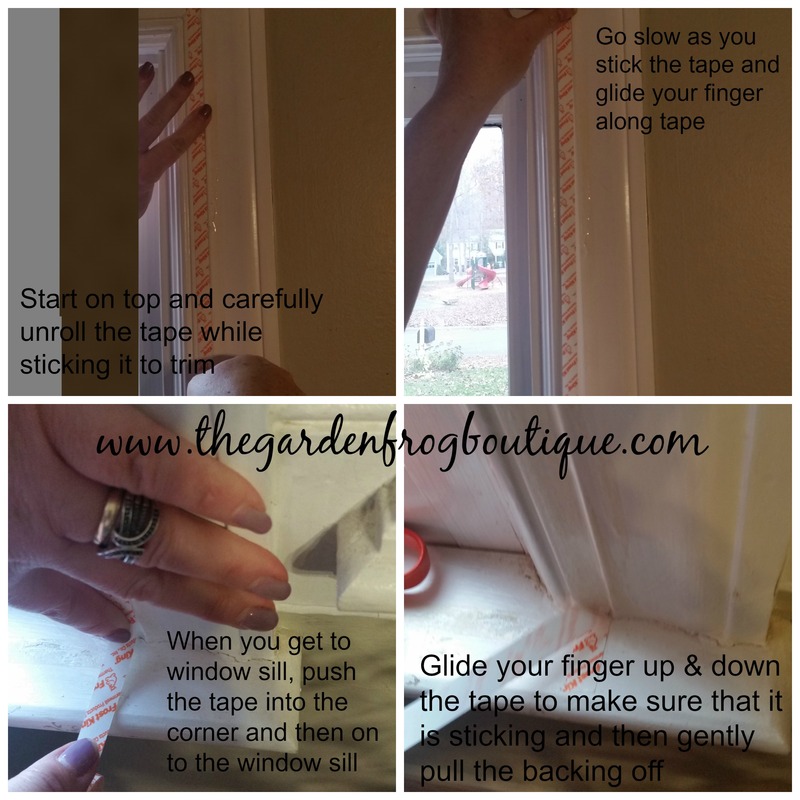 Do not worry if you touch the tape and the plastic sticks in the wrong spot. You can unstick it one time and start again. The best tip is to keep the blow dryer moving or you will burn a hole. You can start with heating up the edges of the plastic and then move inwards going back and forth or up and down slowly shrinking the plastic. 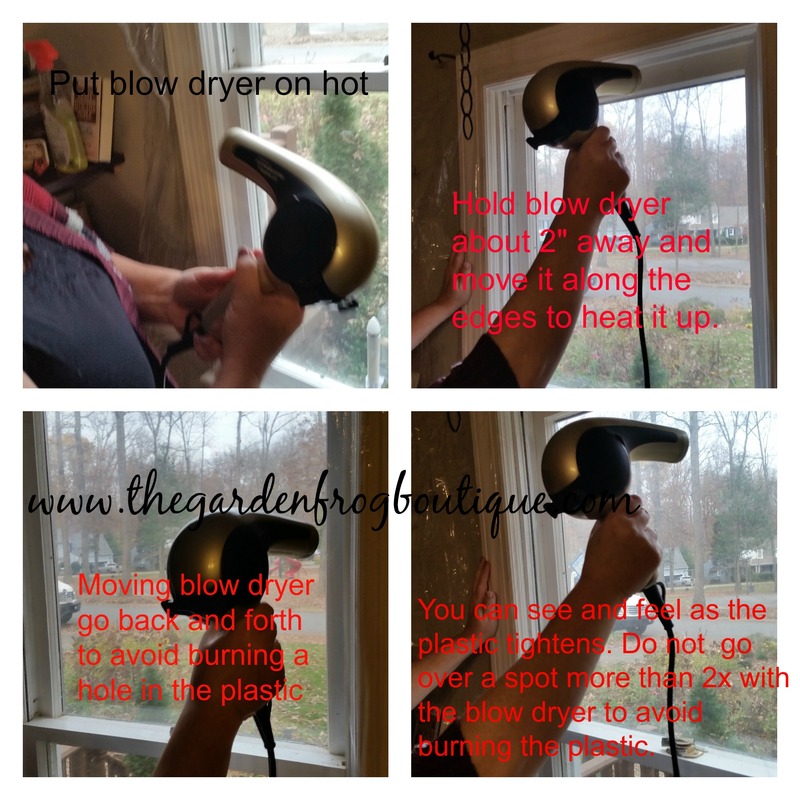 You will be able to see the wrinkles as the plastic shrinks and all you do is run the blow dryer over the wrinkles (but not more than twice). I want you to know that my plastic is not always perfect because the corners sometimes are wrinkled a bit. Check out my 6 minute YouTube video to see how easy it really is to shrink wrap your windows. Thank you for stopping by and I hope that my tips for keeping warm and lowering your heating bill saves you money! I am not a paid spokesperson for Frost King or Lowe’s. We’ve done a couple windows but need to do more, but just haven’t gotten around to it. Next spring we were going to start replacing one window at a time to those energy efficiency double pane Windows. Until then maybe I can get the hubby to go ahead and do the winterizing kits to at least some Windows, like the bathroom Brrr gets cold in there. Thanks for the great tips. Thank you. the doily was a dollar store find. PS somehow your comments ended up in spam so sorry for the delay in recognizing you stopping by. It has cut my electric bill by at least a $50 up to $100.